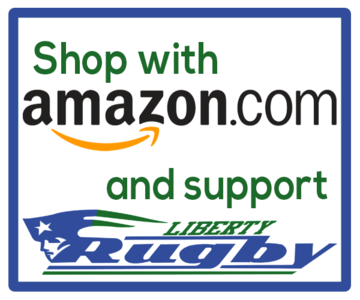 Thank your for shopping at Liberty Rugby Club. If you are not entirely satisfied with your purchase, we are here to help. You have seven (15) calendar days to return an item from the date you received it. To be eligible for a return, you must first contact us at orders@libertyrugby.org to state your return reason and obtain a Return Authorization. Upon receiving the Return Authorization, you must ship your item to the return address of the original supplier. Your item must be unused and in the same condition that you received it. Your item must be in the original packaging. Your item needs to have the receipt or proof of purchase. Once the original supplier receives your item, they will inspect it and we will notify you that your return has been received. If your return is approved, we will initiate a refund to your credit card (or original method of payment). You will receive the credit within a certain amount of days, depending on your card issuer’s policies. If you have any questions on how to return your item to us, contact us at orders@libertyrugby.org. Subscribe to our newsletter for all club updates, schedules, and special announcements.